Last week Crime Watch's popular 9mm interview series returned after a short hiatus for its 51st instalment; an interview with forensic anthropologist and bestselling mystery writer Kathy Reichs. Now that we're back in the swing of things (several 9mm interviews are scheduled for the coming weeks), I thought I should return to my original premise of featuring both high-profile bestsellers and lesser-known authors, and a nice mix of Kiwi and international crime writers. So today I am pleased to share with you my recent 9mm interview with up-and-coming local crime writer Ben Sanders, a young university student in Auckland who burst onto the antipodean crime writing scene late last year with his debut thriller THE FALLEN, which got some very good reviews and scooped the #1 spot for several weeks on the NZ Adult Fiction bestseller charts last year. On a local scale, it was a dream start for Sanders, who featured by several of New Zealand's biggest media players (eg the Weekend Herald, the Sunday Star-Times, TVNZ), and mentioned in several others as well. You can watch a short 5mins long clip of Sanders being interviewed by Paul Henry and Pippa Wetzell on Breakfast, the popular TVNZ morning show here. And just this week I had an email from a US reader, who won a copy of THE FALLEN last year on Crime Watch. She said: "THE FALLEN which you very kindly sent to me a few months ago, was a book I couldn't put down. I lent it to a very well-read friend who had the same reaction. She is an English professor in NYC." In August Sanders' second crime novel, once again featuring Detective Sergeant Sean Devereaux and his former police colleague John Hale, will be released; BY ANY MEANS. I will share more information about that upcoming book with you soon. 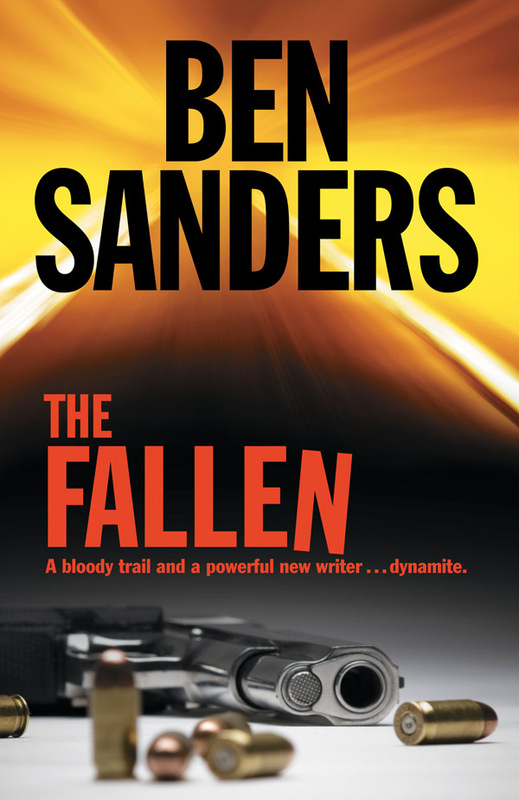 It will be interesting to see how media, readers, and reviewers, respond to Sanders' sophmore effort - it would be good to see some more Kiwi recurring crime fiction heroes, so hopefully BY ANY MEANS will be as good a read (or even better) than THE FALLEN, which was a very strong debut. But for now Ben Sanders faces down the barrel of 9mm. James Lee Burke’s Dave Robicheaux. I love his imperfection: he has his battles with alcohol, he has a history of violence, but despite these tarnishes he’s a moral and relentless guy, and ultimately very intriguing. He’s a great mix of contradictory qualities; he’s a compassionate Catholic, but at the same time has this immense capacity for sudden violence. The books quite often involve some element of his past, so that you have a detailed depiction of the man in the here-and-now, but you also gradually develop a sense of the experiences that got him to where he is. I was into Enid Blyton when I was a kid, so the Famous Five and Secret Seven series would have been the first novels I read, but I can’t recall the titles. I can remember reading the first Harry Potter book, not long after it had been published [for all you Harry Potter fans who claim you read the books before they were world famous, I reckon I probably beat you], and loving it. It had all the right ingredients for a great story: good writing, characters you could engage with, and an interesting setting. They’re the sorts of qualities that make for a good read, irrespective of genre. I’ve written two unpublished novels. I wrote my first while I was at high school in the sixth-form (16 years old), but I never submitted it for publication. It was a P.I. novel set in L.A. It was swamped with trivial, descriptive detail. It was a good learning curve in that it helped to calibrate my style, pointing out that a lot of what I wrote wasn’t needed. So that effort was a nice self-teaching exercise, but other than that it was a waste of tree. It lives in a shoebox under my bed. 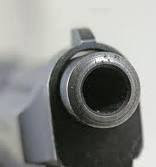 I wrote a second novel the following year; another crime story, this time about an Auckland cop called Sean Devereaux. I submitted it to a publisher but it was rejected. I wrote another novel called THE FALLEN the following year, and retained Devereaux as the lead character. I submitted the novel to a different publisher (HarperCollins NZ), and fortunately it was accepted. try and have a game of tennis once a week. I can sometimes be persuaded to go for a surf, as long as the sun is shining and the wind is off-shore, and the swell is clean and right-breaking [strict, I know]. I love listening to music and walking my dog. The bulk of my plot development is schemed while dog-walking. At one stage while writing BY ANY MEANS (my new novel due out in August), I hit a story snag that I didn’t know how to fix, and the poor dog was getting four walks a day. Wait for a nice day, and drive up to Long Bay Regional Park and go for a wander up the cliff-top walkway at the southern end. There’s a seat up there which faces north across the park and Long Bay beach, and it’s an ideal place to sit and read a Ben Sanders novel. Cate Blanchett did a great Bob Dylan, maybe she could do a great Ben Sanders? Otherwise, keeping with the Harry Potter theme, maybe Daniel Radcliffe. He’d have to dye is hair blond. My second published novel, BY ANY MEANS, comes out early August, and I think it’s definitely my best work so far. There’s more character development, and I think the plot is pacier and more engaging. I’m very proud of THE FALLEN, but I think BY ANY MEANS is a definite step up; it’s tighter, more refined, and I’m excited about the release. I was sort of eased into the idea of publication. The first hint I got that my work was any good was a phone call from the Publishing Manager at HarperCollins telling me she’d really enjoyed THE FALLEN. I got an email a week later informing me it had been accepted for publication, and that a contract was coming my way. It was an amazing feeling. It was relief mostly: I’d been writing for four or five years at that point, and if THE FALLEN was rejected, I didn’t know whether I’d have the energy to write a fourth novel. So to have my work accepted for publication, and be told by someone that they actually enjoyed reading it was fantastic. The celebrations were low-key: I had a cup of coffee, listened to Nick Cave’s ‘Let the Bells Ring,’ and then I rang my mum. I aven’t been in the writing business long enough to have done any of those things yet. But I suppose the most unusual book-related event was actually at a signing for Michael Connelly when he was in Auckland recently. I started reading Connelly’s work when I was thirteen, and was totally hooked. From the ages of thirteen to fifteen, I slowly devoured his complete back-catalogue. His work has been a major influence on my writing, and it was an unusual feeling (and a privilege) to meet the guy who’d helped inspire me to be a writer. Thank you Ben Sanders. We appreciate you taking the time to talk with Crime Watch. Have you read THE FALLEN? If so, what did you think? Do you enjoy New Zealand-set crime fiction? Do you think Auckland could be a good crime fiction city, like LA, London, Edinburgh, Aberdeen, New York, Sydney, and many others? Does the fact that we have an author now remembering Harry Potter as his favourite childhood book make you feel old (it sure does for me!)? Comments welcome. Yep, thanks to you I was able to read _The Fallen_. I thought it was excellent, and I hope I'll be able to find Sanders' second book when it comes out. To be honest, I didn't notice "Auckland" that much in the book--it was the plotting, dialogue, and relationship between Devereaux and Hale that impressed me the most about _The Fallen_. I haven't read The Fallen yet, again, its on my TBR mountain, which will be increased in August with By Any Means! I have read both books and they are excellent. So proud to have this young Kiwi bloke on our bookshelves (I am a bookseller).